Selling my lighted shift knob (E46 M?). Fits E46 and shows 6 speed. I believe the quick-connect can be reused, if not, there is enough wire to replace it. Asking $145 net to me shipped in CONUS. 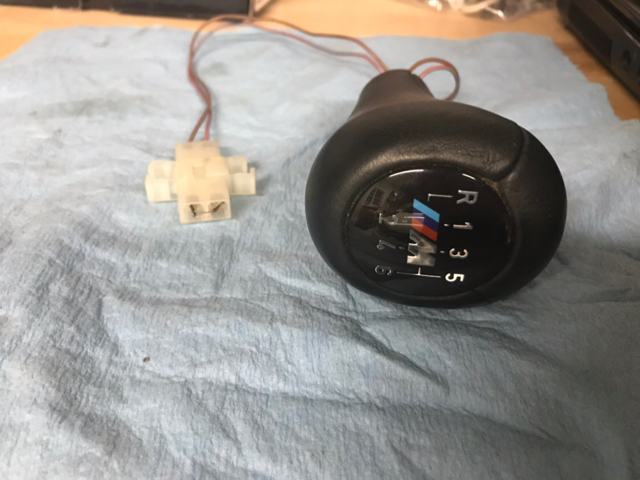 Illuminated F10 M5 Shift Knob: Installed!